An Exciting New Release for the Cider Lovers! We named the newest addition to the Ardiel Cider House family after Victoria Corners – our precise location in The Blue Mountains, ON. But we couldn’t have imagined that this Victoria Day Weekend would be so significant – not just for our vineyard and Cider House releasing our Victoria Pear Cider, but for monarchists the world over! 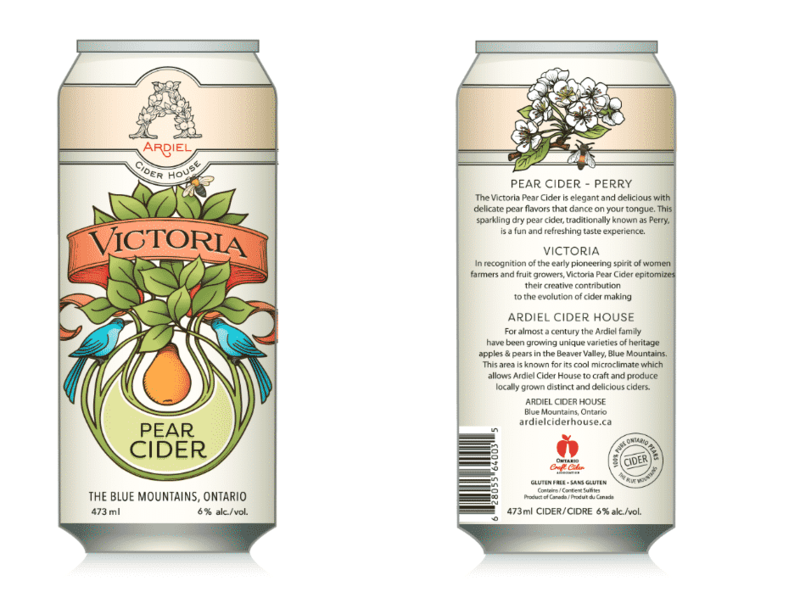 Victoria Pear Cider is elegant and delicious with delicate pear flavours that dance on your tongue. This sparkling dry pear cider, traditionally known as Perry, is a fun and refreshing taste experience. A year in the making, we cant wait for you to join us in enjoying a glass. Refreshing on a hot summer day, it’s also the perfect light bubbly to toast the Royal Wedding wedding with! Victoria Pear Cider will be on the Tasting Bar in the Georgian Hills Tasting Room Saturday, May 19th!